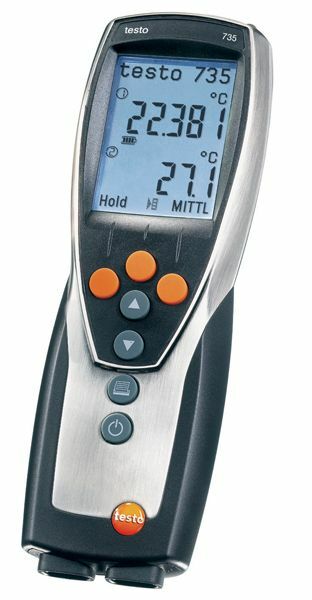 View cart “Testo 110 – 1 Channel NTC Thermometer – (0560 1108)” has been added to your cart. The robust and compact measuring instrument with a probe socket for highly accurate Pt100 probes and two sockets for fast-action thermocouple probes. 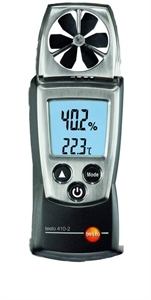 Readings from up to three additional temperature probes can be displayed in the testo 735-2 measuring instrument’s clear display; data transmission is by radio, i.e. wireless. The measurement values can be simultaneously transferred to a PC and stored there. In this way, a total of 6 channels is recorded by the measuring instrument. A system accuracy of 0.05 °C with a resolution of 0.001 °C is reached using the plug-in highly accurate Pt100 immersion/penetration probe. 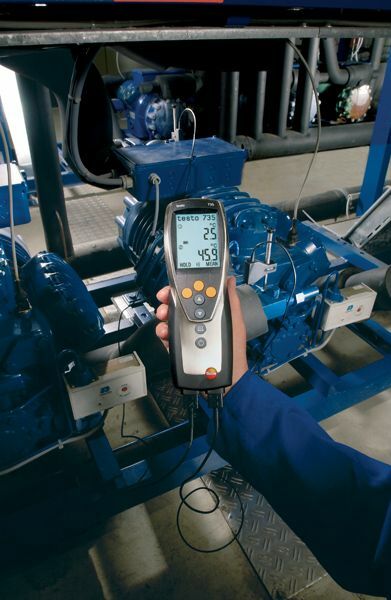 The measuring instrument is therefore ideally suited for use as a working standard. 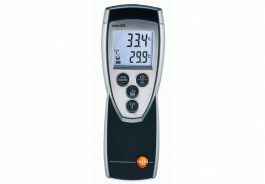 Temperature characteristics are recorded in the instrument and then analysed in graphics and tables on your PC/Notebook. 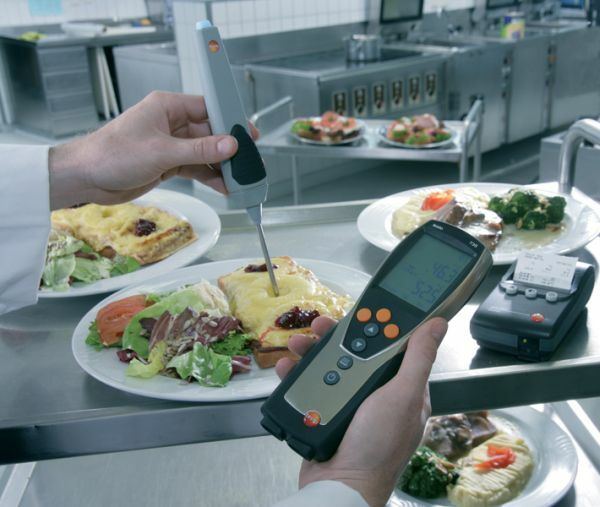 Data is printed on site on the Testo fast printer using infrared. Selectable user profiles, i.e. allocation of specific function buttons to an application facilitate intuitive and fast operation. Individual protocols or measurement series can be stored according to site. Up to 99 sites can be stored in the instrument. The storage cycle is user-defined between 0.5 seconds and 24 hours.